News / Development / Plus Architecture begins 2015 with a bang! Plus Architecture begins 2015 with a bang! St Kilda Road-based Plus Architecture have recently updated their website with fresh information, thus allowing Urban Melbourne to insert a swag of new and predominantly residential listings into our Project Database. South Yarra twice over, Glen Waverley, Box Hill, South Melbourne and North Melbourne are home to the new project listings, with 720 apartments and 157 hotel suites the expected sum result. Little Projects' The Elfin residential tower leads the pack. Located at 38 Claremont Street South Yarra, it is preparing for a sales launch while early works continue onsite. The Elfin's 102 apartments may also be joined by an additional 99 dwellings at nearby 402-416 Chapel Street South Yarra. Lodged mid 2014, South Melbourne-based Blueprint Development Group is behind the scheme which would see the demolition of the existing building and construction of a 12 storey mixed use tower including 99 apartments, 157 hotel suites, restaurants holding a total of 473 patrons, 1,009sqm of retail space, 579sqm of commercial space and a gymnasium. City of Stonnington have added no further information since the application was lodged. 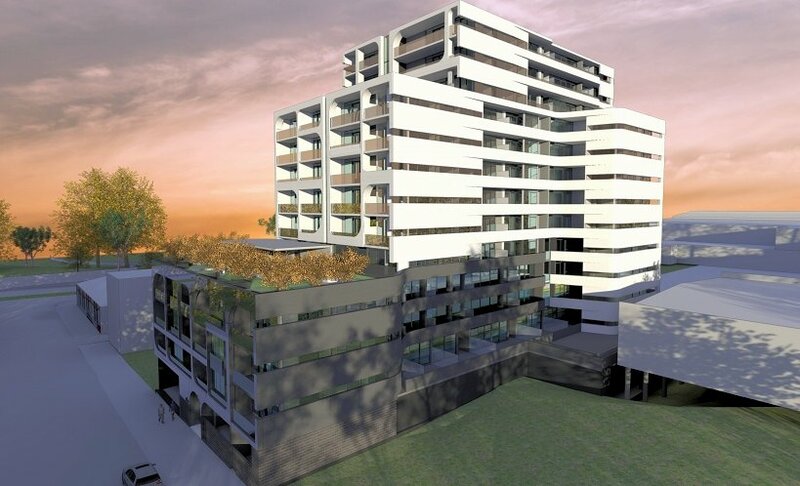 Of the four remaining projects only 52-54 O'Sullivan Road, Glen Waverley has gained planning approval, with City of Monash ruling in favour of the 276-apartment project during late 2014. Despite community concerns over height and lack of communal facilities, the 15 level tower on behalf of Australia Nan Xin Investment Pty Ltd can now proceed at the developer's discretion. 104-112 Haines Street, North Melbourne, 109 Carrington, Road Box Hill and 61-65 Palmerston Crescent, South Melbourne represent the remaining trio of Plus Architecture-designed projects still at planning assessment. 104-112 Haines Street is the largest, seeking approval for 143 apartments in a traditionally low-rise area of North Melbourne. 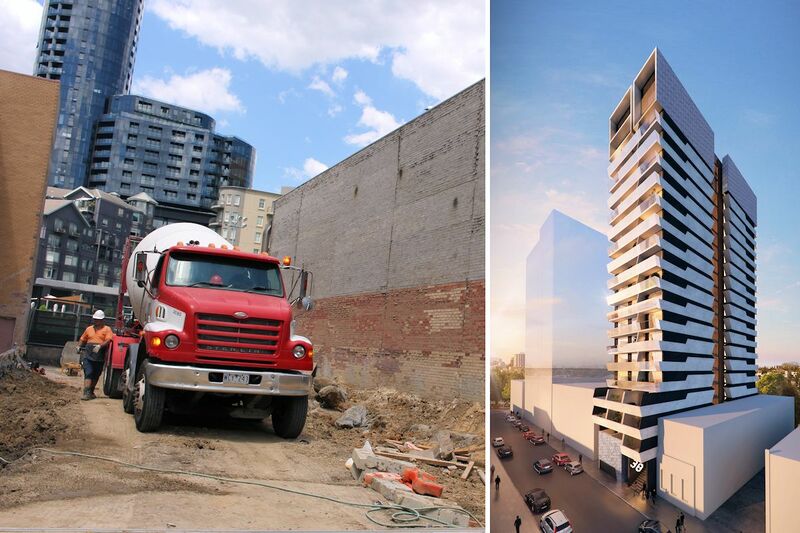 City of Melbourne are also considering the merits of a similarly proportioned proposal on the neighbouring 114-116 Haines Street site; should Council approve both developments it would likely set a precedent for the accelerated urban renewal in North Melbourne. The six additional project listings has swelled the current Plus Architecture stable to 19 within Urban Melbourne's Project Database, ranging from project assessment through to construction. All their projects are available for viewing. The impressive number of current projects has propelled Plus Architecture into a position of strength, nestled in behind Hayball and Elenberg Fraser in terms of overall project numbers which alludes to the rate at which Plus Architecture gas grown in recent times. The six most recent Plus Architecture listings are available for individual viewing below.